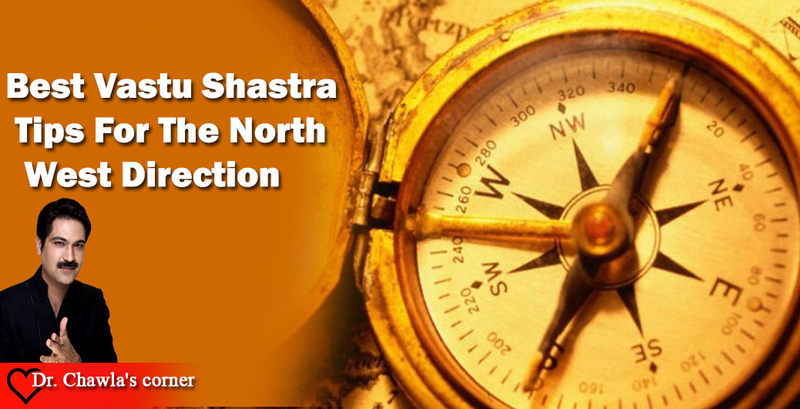 The owner of the north-west direction is Vayudev, Lord of wind. The planet of this direction is Chand (moon). As it is powered by the element of Wind, the north-west is highly unstable. This powerful direction is known for creating opportunities in life, and if used in accordance to VastuShastra principles, it can take your career to immense heights. 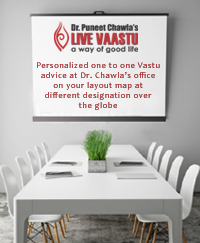 Conversely, as a Vastu expert myself, I believe the incorrect usage of the north-west results in instability, indecision and diseases. It can also create a sense of restlessness among the residents of the building. 1 The north-west is a great corner for a guest room or a drawing room. It is also a good location for finished goods store, as it helps in the quick movement of material and fewer delays in payment. 2 A master bedroom in the north-west causes instability in the income of the occupant. Similarly, a study room in this corner results in the loss of memory, confusion and lack of concentration. Students find it difficult to study and spend less time in the study room. 3 The north-west corner should be kept free of any clutter and blockage, especially metals and other junk, as this may cause administrative and legal problems. 4 An elevated floor in the north-west section of a house can cause problems in the higher education of the children. 5 If a married son occupies the north-west room, he is likely to move away from home. Unmarried girls in the family should be given a bedroom in the north-west section of the house. This direction is not, however, auspicious for couples, and those residing in this corner may suffer from asthma, breathing disorders, coughs and cold. 6 The north-west is also the best direction for a bathroom. This is occupied by the air element and hence does not hamper the flow of subtle energies within the structure. 6 The best room for the north-west direction is to be allocated as a guest room. This area represents the Air element and does not provide stability in the structure. This will ensure that the guest does not become a permanent member of the family. 7 The servant of the house should never be placed in the north-west direction, or else, in that case, they tend to leave the household early which means that servants will keep coming and going and the family will not benefit from a long and healthy association with the servant. This is because this area is not stable.